The Industrial Fabrics Association International (IFAI) has announced the winners of the 2016 International Achievement Awards (IAA) at the IFAI Expo in Charlotte. 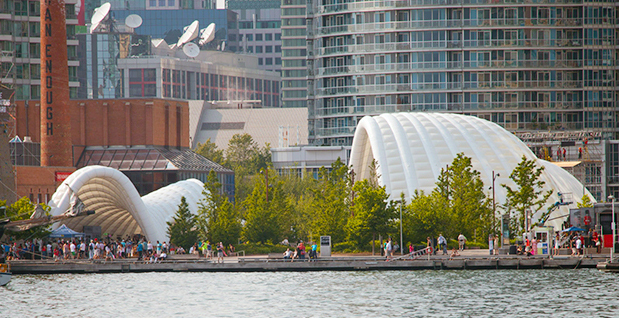 We are delighted that the pavilions built by Tectoniks for Ontario’s Celebration Zone for the Pan American Games have won the Award of Excellence for Air Structures. The awards recognise excellence in design and innovation, highlighting truly spectacular work in the specialty fabrics and technical textiles industry. The IFAI received a total of 296 entries from around the world in this year’s competition. Winners were selected based on complexity, design, workmanship, uniqueness and function. Judges included industry experts, editors, architects, educators and design professionals.